On first impression, today’s map suggests that the cartographer fell asleep partway through drawing a map of the world. But in actuality, this was intended to just be a map of places as they existed in the ancient world, divorced from all territories which had been encountered since then. 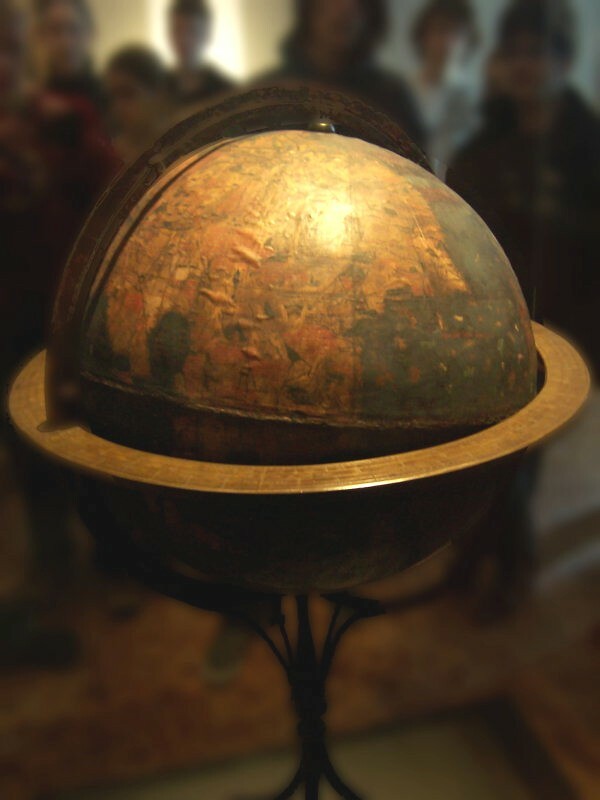 It was made by the dutch cartographer Jan Jansson (or Johannes Janssonius) in 1650. Back then, it was all the rage to make maps using current geographic knowledge but limited to places which were known in ancient times, using ancient place names. 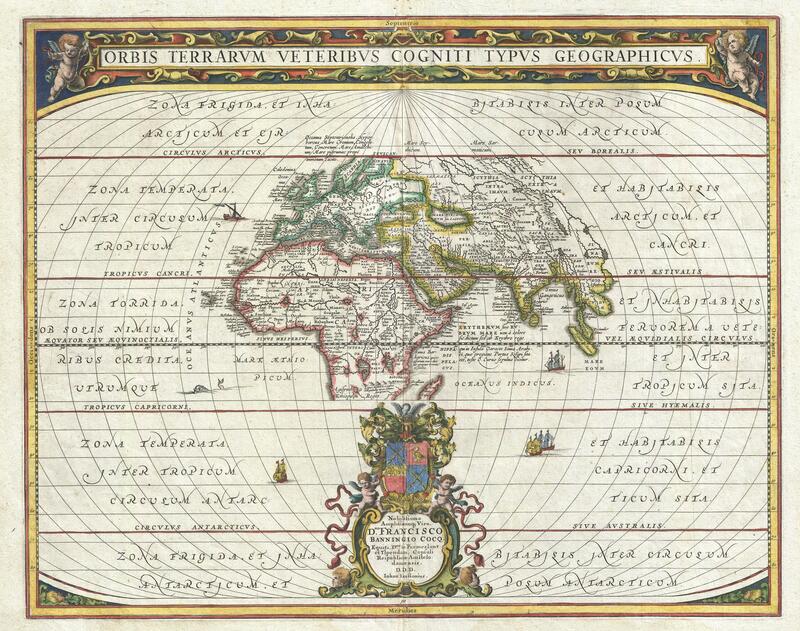 “Orbis Terrarus Veteribus Cogniti Typus Geographicus”, by Jan Janssonius in 1650. 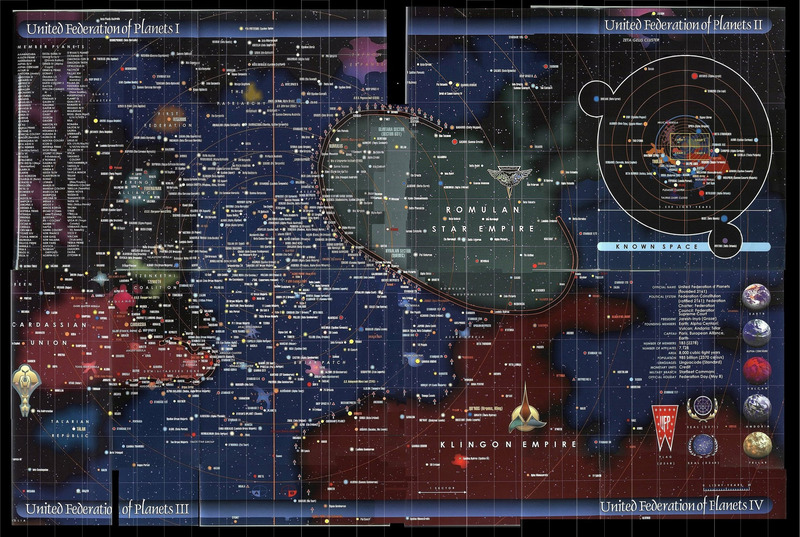 Map nerds will especially enjoy opening this map in a new window and zooming in to read all the place names. Reading an unfamiliar name on a familiar piece of land is a kind of puzzle that begs to be researched. A few names that I noticed are Hibernia for Ireland (it was the old Latin name) and Taprobana for Sri Lanka (sort of a mythical island off the coast of India which was later associated with Sri Lanka). We also see the names of once powerful empires, like Persia and Ethiopia (labeled Aethipum Regio and placed at the bottom of Africa, as the name was often used to refer to everything south of Egypt in ancient times). What other curiosities can you find? Happy mapping! Atlantis Found Off the Coast of Brazil? In a blog about maps, history, and mythological places, it was only inevitable that Atlantis would come up. For centuries, scholars and explorers alike have been fascinated by the description of the lost island/continent in Plato’s writings, searching in vain for where it had sunk into the ocean. Plato originally placed Atlantis in the Atlantis Ocean (which makes sense, since they were both named after the mythical hero Atlas) to the west of the Strait of Gibraltar. But people have also suggested a diverse array of other possible locations, including the Greek islands, Cuba, and even Indonesia. Athanasius Kircher’s 1669 depiction of Atlantis in between America and Africa (south is on the top). 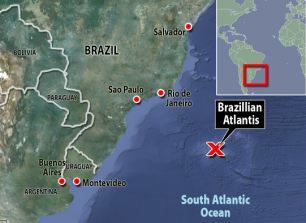 This month, Atlantis has been “found” again, this time 1800 miles off the southeastern coast of Brazil. A Japanese submarine, while exploring the ocean floor, discovered evidence of what could be a massive sunken continent. The Brazilian Geological Service studied the rubble the submarine dredged up and found granite, which indicates the edge of a continental shelf. However, this happened very far from the coast of Brazil, so it could mean that the scientists found part of a continent on the ocean floor. This is really incredible news, but it also does not mean that the scientists found Atlantis. For one thing, they did not find any remnants of a human civilization in the ocean. I hate to burst the bubble of the dreamers out there, but this very likely is just another landmass that sunk into the water over time as the plates of the earth moved. But most importantly, the story of Atlantis is really just a story which Plato told to make a philosophical point, rather than a historical fact he was reporting. In fact, it seems most people at the time realized this. Not until the modern age did people begin to take the Atlantis story seriously and start searching in earnest for its location. 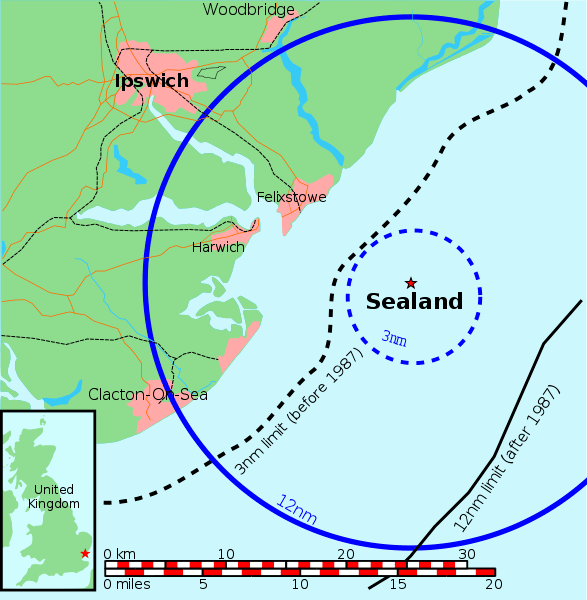 What we can take away from this bit of news, though, is that even though the surface of the earth has been all mapped out, much of the ocean floor remains a mystery, especially at great depths. For an armchair explorer such as myself, it is heartwarming to know that there are still discoveries to be made even here on our own planet. If you look at a map of Africa today, you’ll find the Cape of Good Hope at (almost) the southermost point of the continent. It is the point at which a ship navigating around Africa starts to move more easterly than southerly, and for Bartolomeu Dias, it was a tremendous discovery. Up until that point, no one was sure that there was a sea route around Africa that would lead to Asia, but he confirmed it with his own eyes during his expedition of 1488. There was just one problem, though. Dias gave it the accurate yet foreboding name of the Cape of Storms, based on the rough weather he encountered down there. King John II of Portugal thought this might turn people off from making the trip in the future, so he renamed it the Cape of Good Hope. And as a marketing tool, this was stunningly effective, compelling explorers and traders from all over Europe to follow suit, beginning several centuries of trade and, unfortunately, colonization and exploitation of the East. This isn’t the only time that locations have been named and renamed to encourage other people to visit or settle. 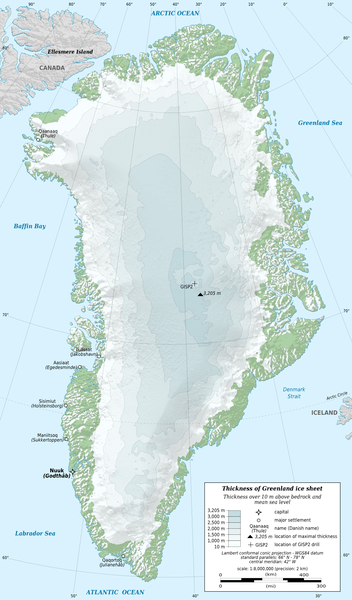 One of my favorite examples is Greenland, which the Vikings began settling in the 10th Century. Despite the fact that it was, by and large, a giant block of ice, they named it Greenland so others would think it was fertile and warm. 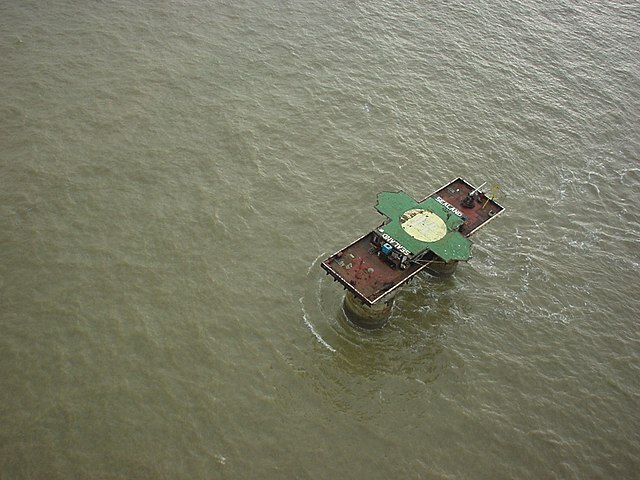 But it wasn’t difficult to see through the trick, and the island remains sparsely populated today. Another example of a place with an inaccurate name is Liberia, the African country which began as an American colony for freed slaves. Liberia means freedom, yet when the free former slaves began governing themselves, they enslaved the native-born Africans and a long period of ethnic division ensued for over a hundred years, resulting in an extremely brutal civil war. Sadly, a country named after freedom had become the exact opposite. On a more positive note, the cities and towns of the American West show how all it takes is a name to convey a spirit of optimism and happiness to all would-be visitors. Places such as Paradise, CA or Happy, TX indicate a prosperous new city full of opportunity and hope for the quintessential American dream. My personal favorite, though, is Carefree, AZ, for when someone is tired of striving for the American dream and just wants to relax with a lemonade. Although the frontier has been closed, American towns are still changing their names, often just temporarily, to drum up publicity or be rewarded by a corporate sponsor. In 1999, a town in Oregon changed its name, unofficially, to Half.com for a year, in exchange for a cash prize and twenty new computers for the school. It seems awfully gimmicky, but when you think about it, they were really just following in the time-honored tradition of place-name marketing that has been used by kings and explorers for centuries. But as Greenland and all those deserted Western towns with positive names show, people are not always so easily swayed, even by the cleverest marketing.